Watch out for the wild orchids. They seem particularly plentiful this spring. 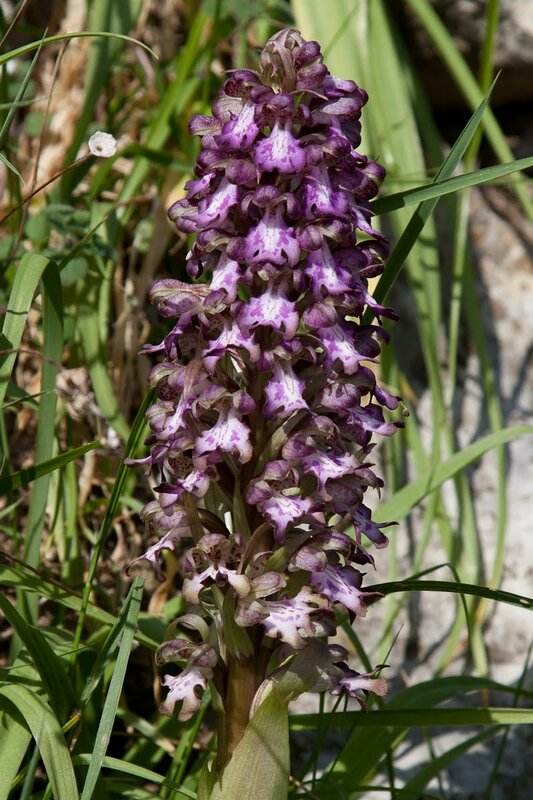 I think this one is called Orchis Purpurea. Apologies for late post. My iMac died in a blaze of orange screen and went to iMac Heaven. It took 14 hours to restore files onto the new computer. 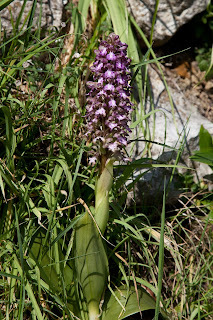 Prêtez attention aux orchidées sauvages. Elles semblent particulièrement abondantes ce printemps. 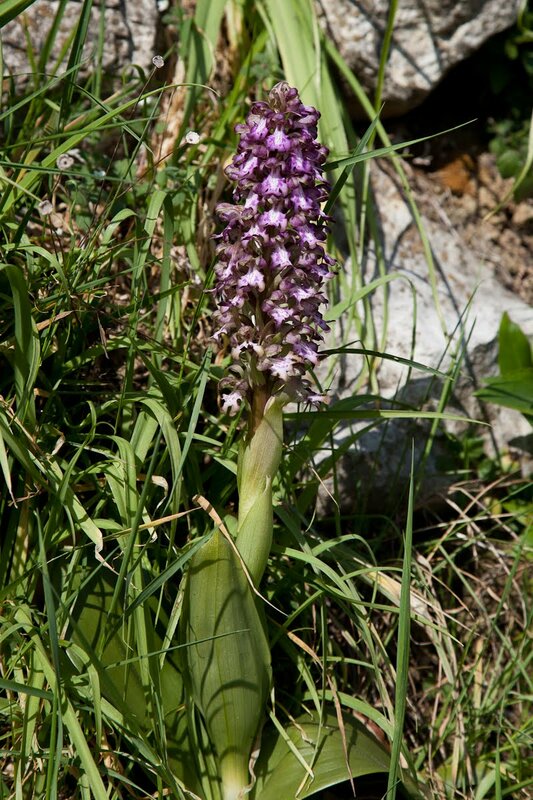 Je pense que celle-ci s'appelle Orchis Purpurea. Sorry about your Mac. These orchids are lovely. aye yie yie. so glad you were able to rescue the old files! do these have a scent? Haven't seen any here so far. I think spring is a little bit late.